Analysis: Smallwood made a sudden appearance on Thursday's practice report as limited due to a hand injury, but his elevation to full participation Friday has wiped away any question about his ability to suit up in the Eagles' postseason opener. If his workload from the final three games of the regular season translates to the playoffs, he should be in line for upwards of 10 touches working behind Darren Sproles and Josh Adams. Analysis: Smallwood's late addition to the injury report is some cause for concern in regard to his status, but the fact that he still got in part of the practice suggests the issue isn't too serious. The team's final injury report Friday should shed some more light on his availability for the wild-card game. Smallwood notched three yards on one rush and gathered in all four of his targets for 24 yards during Sunday's 32-30 win versus the Texans. Analysis: Smallwood has found a place in the offense under the direction of Nick Foles the last two games. However, Smallwood didn't come close to matching his two-touchdown performance from Week 15, despite earning just four fewer offensive snaps. Whether or not it includes the playoffs, the Eagles' scheme seems to favor both Darren Sproles and Josh Adams before Smallwood, making the latter difficult to trust for production. Smallwood ran the ball 10 times for 48 yards and two touchdowns in Sunday's 30-23 win over the Rams. Smallwood rushed once for three yards in Sunday's 29-23 loss to the Cowboys. Analysis: Smallwood relieved Corey Clement after the latter was forced to depart with a knee injury. Each back played just four snaps, so even if Clement misses Week 15's road matchup with the Rams, Smallwood's not looking at a huge increase in playing time. His greatest value is likely as a deep-league insurance policy to Josh Adams or the 35-year-old Darren Sproles. Smallwood did not touch the ball in Monday night's 28-13 win over Washington. Analysis: Smallwood has been on the field for a total of seven offensive plays over the last three weeks and has just one carry for a loss of four yards in that span, including no touches or targets in the last two games. Josh Adams and Corey Clement have seized control of the backfield, and the return of Darren Sproles only serves to bury the 24-year-old further down the depth chart. He can safely be ignored in fantasy until and unless injury strikes. Smallwood played one offensive snap and didn't register a carry or target in Sunday's 25-22 win over the Giants. Smallwood is expected to see his role within the Eagles' backfield committee decline beginning with Sunday's game against the Giants with the team planning to start Josh Adams and feature him more prominently, Ian Rapoport of NFL Network reports. Smallwood lost four yards on his lone carry and was not targeted in the passing game during Sunday's 48-7 loss to the Saints. Analysis: Smallwood has seen his workload drop dramatically over the past couple games as Josh Adams has emerged, and the third-year vet's only rush of the day came on the last play before halftime. The 24-year-old seems to have also fallen behind Corey Clement, who saw just four touches on the day himself, while Adams saw seven carries and six targets. 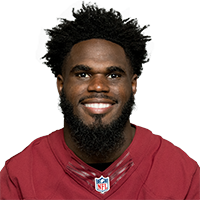 Of the three, the rookie Adams is the only even somewhat reliable option heading into a Week 12 home matchup with the Giants. Smallwood played 21 of 62 snaps (34 percent) on offense in Sunday's 27-20 loss to Dallas, taking two carries for four yards and catching three of three targets for 30 yards, Dave Zangaro of NBC Sports Philadelphia.